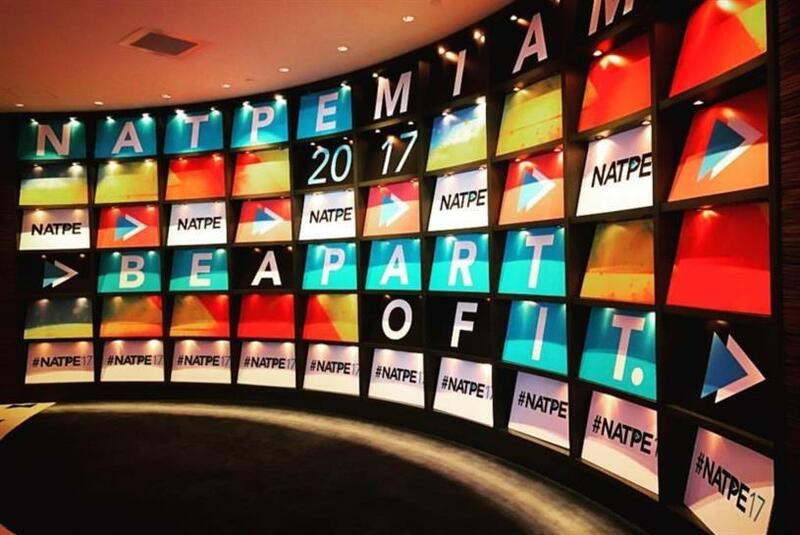 The overall theme at the annual NATPE (National Association of Television Program Executives) Miami Marketplace and Conference was how to balance traditional linear platforms with the rising digital streamers. "Broadcast television is not about to end anytime soon," noted Armando Nuñez, president and CEO for the CBS Global Distribution Group and Chief Content Licensing Officer for the CBS Corporation at an international-themed session called "What the World is Buying." He said: "Like any linear platform, cable included, there are growing challenges in this era of OTT. But we certainly recognize the relevance – and the opportunity – in the digital world. And the challenge for us, and for everyone, is to figure out how to monetize it." "We must be aggressive in our programming acquisitions," Nuñez added. "And we must continue to build our digital extensions." Nuñez cited the decision to offer "Star Trek: Discovery" as a streaming option on CBS All Access, which is now in season two and will launch a spin-off, still untitled, based on Michelle Yeoh’s character Phillippa Georgiou. "With so much original content, on so many platforms our business continues to evolve," he said. "And there should be room for everyone to capitalize on it. For us, ‘Star Trek: Discovery’ was a win because it brought a slew of new subscribers to our digital extension and we did so without having to dilute our linear model." In this era of "Peak TV," there is more original content across all platforms, both linear and digital, to consume. Just in 2018 alone, over 500 original scripted series -- a new record -- were vying for eyeballs, and that number shows no signs of decreasing anytime soon. That said it should come as no surprise, perhaps, that there is a sudden surge in new original first-run product. But there is more to that assumption, according to leading syndication executives at a NATPE panel titled, "Syndication State of the Union: From Famine to Feast to the Future." So, why exactly is there a sudden rise in new shows in contention in syndication? "There is still a real marketplace and, at the end of the day, we are still bullish on the linear model in syndication," noted Mort Marcus, co-president of distributor Debmar-Mercury (which, among other shows, is home to "The Wendy Williams Show" and game show "Family Feud"). Marcus referred to the estimated 94% of the target audience in daytime – women 25-54 and 50+ -- as a real "boon" for syndication. "There is more appetite for live programming to counteract everything else that is going on," he said. "There is far less off-net programming coming into the marketplace, like sitcoms and everything else. And many of the shows that have been on a long time could be nearing the end. All that translates into what we feel is an increased appetite for new live programming." Ellen Degeneres, for example, said in a recent interview with the New York Times that she hesitated to extend her contract into the summer of 2020 because she feels "boxed in by her reputation for kindness." If she does indeed call it quits, that will open the floodgates for open time periods in daytime in 2020-21. "We are fortunate that our company is willing and ready to invest in syndication and take big swings," said Tracie Wilson, EVP of creative affairs at NBCUniversal Domestic Television Distribution. "We saw an opportunity on the NBC O&Os and Kelly Clarkson was just the perfect fit for that bucket. And ‘Judge Jerry’ (presided over by Jerry Springer) was sort of a natural fit. The time was right and Jerry Springer was ending production on his talk show." "If you don’t take chances, or at least try, you just don’t make inroads," added Wilson. Upcoming talker "The Kelly Clarkson Show" from NBCUniversal has now been sold in more than 80% of the country. Tamron Hall’s new talk show from Disney-ABC has been cleared in approximately 70% of the country. And new game show "25 Words or Less" from Twentieth Television, hosted by Meredith Vieria, is now at 75% of the country. Endemol Shine North America, meanwhile, has announced it is teaming up with Michael Strahan’s SMAC Entertainment to develop a U.S. version of the game show "The Money Drop." The series, which features a pair of contestants that are given their prize at the start of the show –real cash -- has aired as a daily show in France, Uruguay and in Central and Eastern Europe (and multiple versions have aired weekly in Asia and Germany). In off-network, A+E Networks and Trifecta Entertainment & Media have announced the broadcast syndication renewal of History staple "Pawn Stars." A total of 100 additional episodes will be featured. In other news from NATPE, AMC’s "The Walking Dead" was named the most in-demand TV show in the world for 2018 and "Stranger Things" was the most in-demand digital original series at the inaugural Global TV Demand Awards, according to global metric firm Parrot Analytics. The winners were determined using Parrot Analytics’ global audience demand system, which measures how much a TV series is wanted in 100-plus markets around the world, across all platforms. The company captures over one billion new data points each day across the consumer activity spectrum, including video consumption (streaming and downloads), social media engagement (hashtags, liking, sharing) and research actions (reading about shows, writing about shows, etc. ).